This week's theme on the Lunagirl Moonbeams Challenge is Blue Christmas. So pretty! 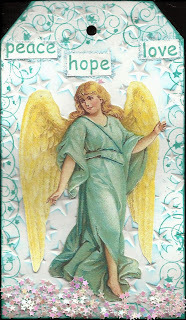 That's my favorite blue angel, and I love your background and stars and sentiment! wow, adorable angel! and you have created awesome background with embossing, swirls and lil flowers. 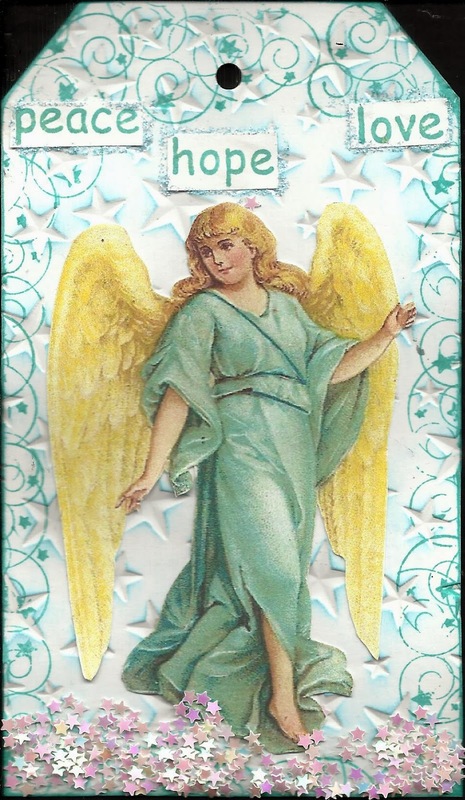 This is beautiful and so serene, your background works so perfectly with the angel image. Thank for joining us at the Lunagirl Moonbeams challenge.